Play on the tediously ubiquitous “Every Little Helps” Tesco slogan incorporated into Hirst’s equally tedious spot paintings series. 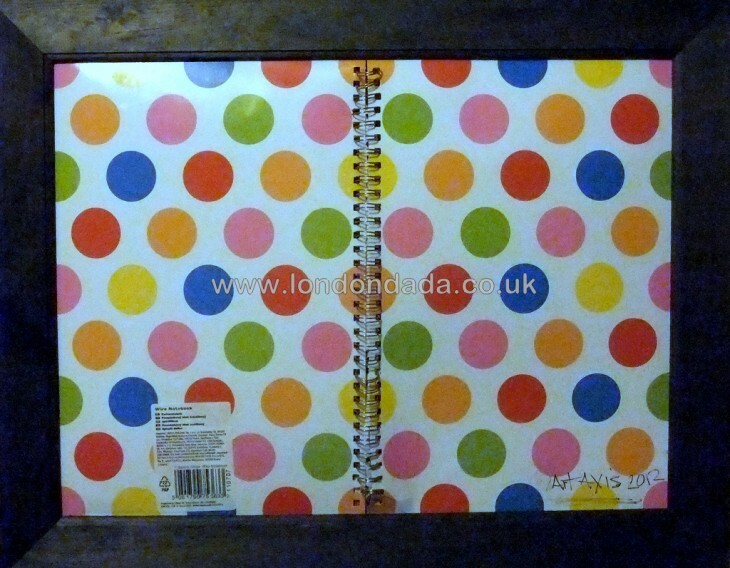 £2.95-retailed A4 glossy school notebook cover from Tesco. Mounted passe-partout within a hardwood frame. 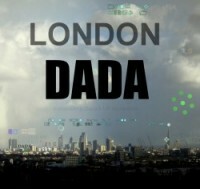 Signed by the Banksy of Dada.